You’re way ahead of us, but it reminds me of what I will be writing about soon. When does your season start Tony? Bare root stock starts to move into nurseries after Christmas tree move out, which happens to facilitate the allocation of limited space. It is not very cool yet. They are not in nurseries? Wow, that is a big business for the nurseries I know. We do mail order too, and they also come later, unless I get something from E-Bay or something like that. I got my American wisteria that way, from a grower in Tennessee. I’ve never heard of roses being planted like this. I love how cost effective it is. Thanks for sharing and I hope to see lovely blooms from these in the spring! Yes totally agree John, container grown planting has just taken over hasn’t, I can only think of 1 Nursery that offered bareroot herbaceous Plants and that’s for trade only, so easy to plant them isn’t. Thank you also so much, that’s my aim with my blogs and it makes me so happy to know I am going in the right way and that others are finding it useful as well, made my day! Very timely. My bareroot order has been placed and I am eagerly awaiting delivery. Can’t wait. I’ve got the bonemeal and that mycorrhizal stuff to hand! Good luck and I hope they grow away strongly for you, which roses have you got on order? 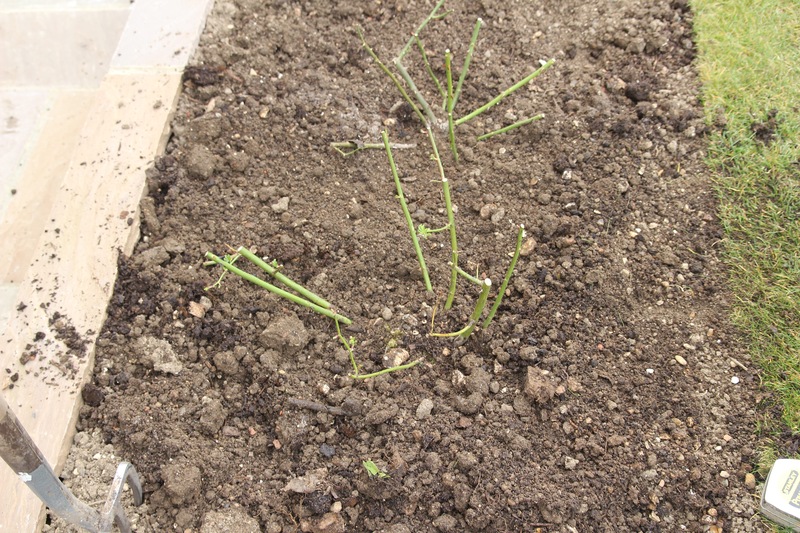 This is a great piece about planting bare root roses and giving the best start we possibly can. Well you cover everything here, brilliant. Can’t wait to see them flowering! Hi Thomas, I planted two bare root roses from David Austin rather late last winter (and by late I mean early March 😬). They flowered quite well but I am now thinking about moving them – do you think they would be OK? May I add a bit to Thomas’ advice – draw an imaginary ring on the ground which is outside the canopy of the rose when it was blooming in the summer. Then, using a fork, not a spade, dig gently in from that ring to lift the plant. This will avoid a lot of root damage and takes only a few minutes longer for a comparatively newly-planted rose. Thanks for the advice John – I will follow it and take the greatest of care as they are lovely roses (a David Austin Gertrude Jekyll and Tess of the d’Urbevilles). A great step by step post. Ideal for beginners and more experienced gardeners alike. Very timely, ordered mine yesterday as you saw. Should I be pruning them hard when planting? Also, I have read conflicting advice regarding the graft point. Some say it should be beneath soil level, some say above to avoid the grafted plant setting its own roots. What dya reckon? Great thanks matey. What about container roses,and the ones I have from hardwood cuttings. Might take a photo and send later see how much you think should come off. Thank you for linking to #MyGloriousGardens this month! I loved this post and made me think about which roses to next . I want to thank you for supporting my linky. #MyGlorousGardens is going to hibernate for a few months (to write school reports and sort out Nativity costumes!) but will be back in March. I have a Christmas Linky running this month if you would like to join in, you are always welcome.I hope the Stumbling is going well…I told you you’d love it! Hi Thomas. Could you give me a good variety of climbing rose, which could grow horizontally if possible? (3m long and 1.50m high) I would like to have a white Noisette. Do you know if this one could be ok? Thanks. Ok thank you! I’ll go tho the nursery this afternoon and see. Bye!